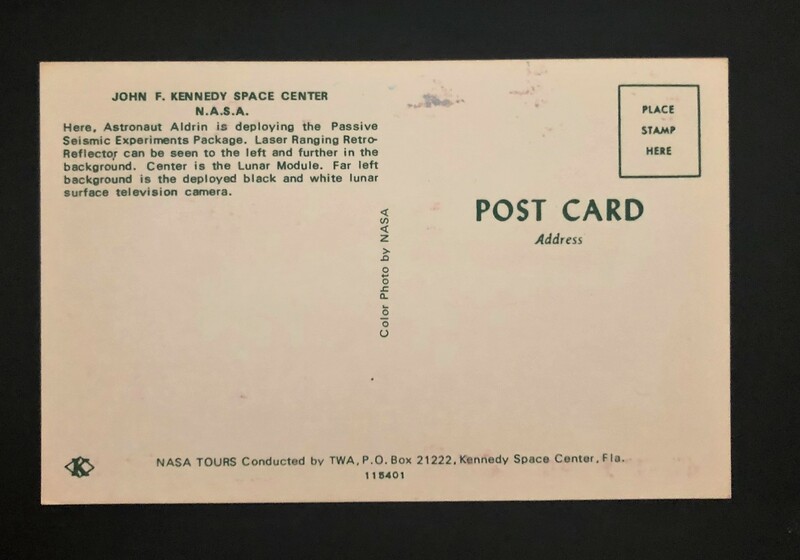 This vintage post card of Buzz Aldrin on the Moon during his Apollo 11 mission is from the Kennedy Space Center “NASA Tours”. 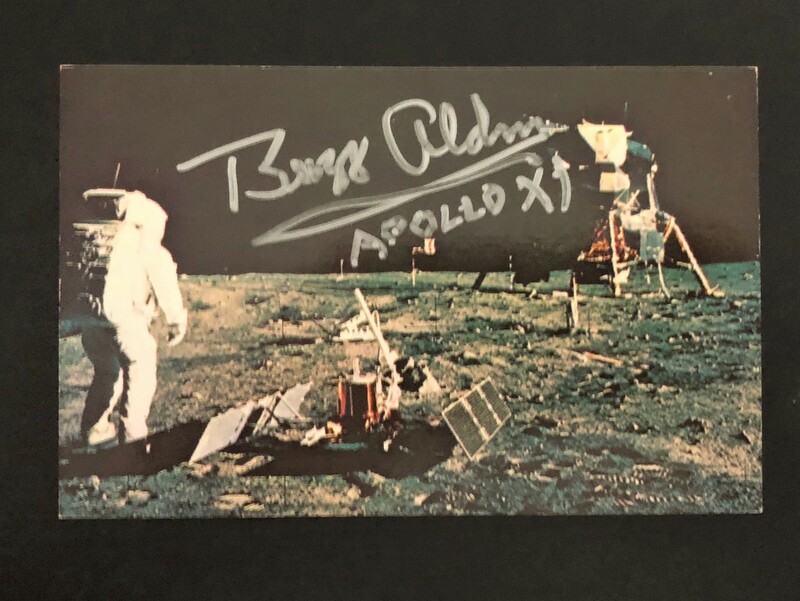 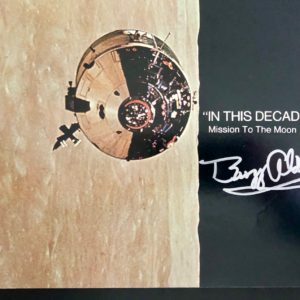 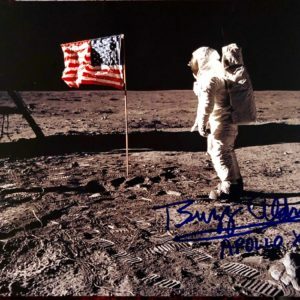 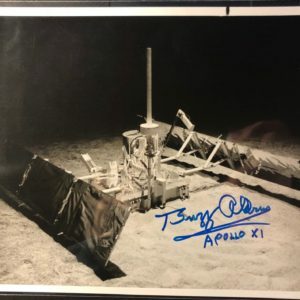 The postcard has been signed by Aldrin with his mission written underneath. 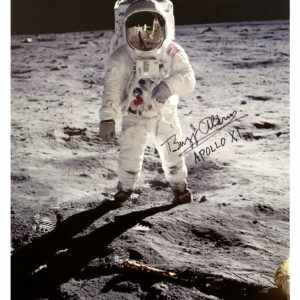 There is some normal, wear and tear, and this is reflected in the sale price.